ISC West 2017 Las Vegas, NV – April 3rd 2017 – With a rise in potential emergency threats, retail stores, office complexes, industrial facilities, commercial buildings are faced with the task of providing emergency response and notifications to associates, customers, residents, and emergency services. While existing solutions are available, in most cases they are complex, expensive and rely on services from multiple vendors. Supporting legacy systems also impedes development and innovation. 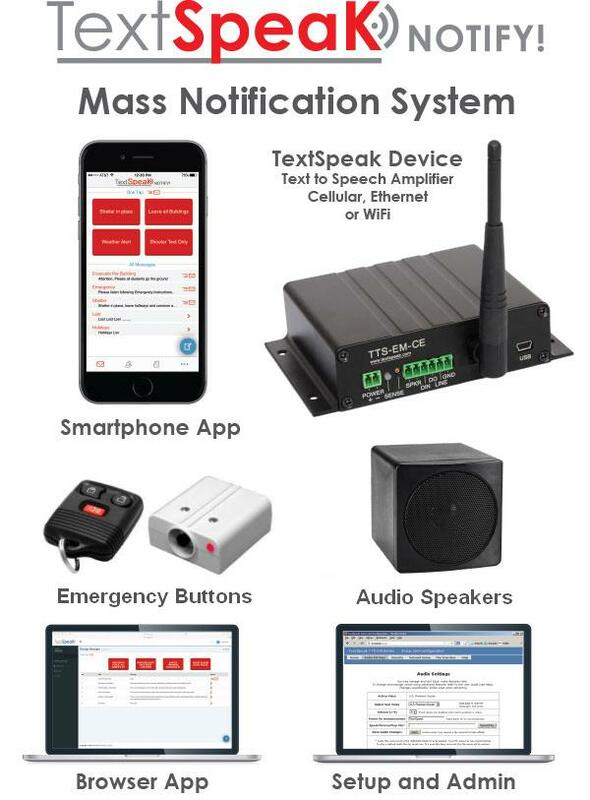 TextSpeak has approached mass notification with the goal of providing simple and cost effective solutions that are easy to install and use, yet provide reliable and effective protection. 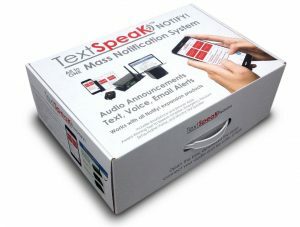 Starting with a single out-of-box amplifier TextSpeak NOTIFY! system it is possible to scale multiple amplifiers and users to build larger more complex solutions that integrate with existing security systems. Take control of your mass notification needs now with TextSpeak NOTIFY!